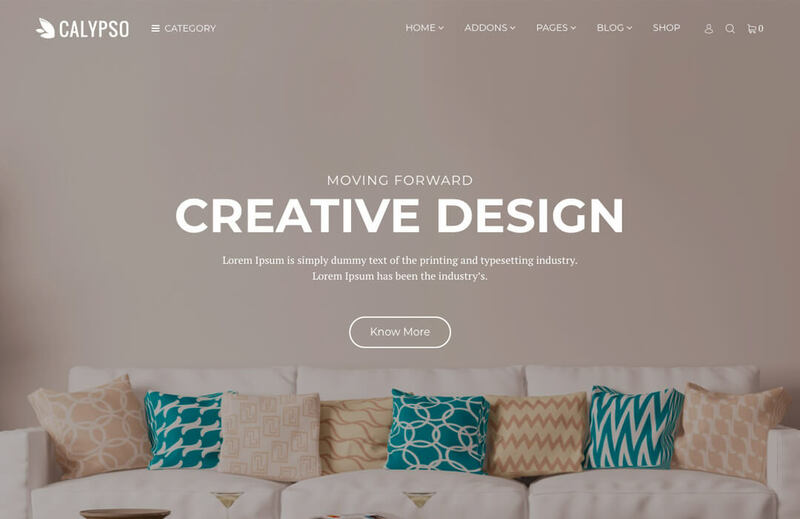 business WordPress theme to represent your company, creative agency or corporate house smartly. 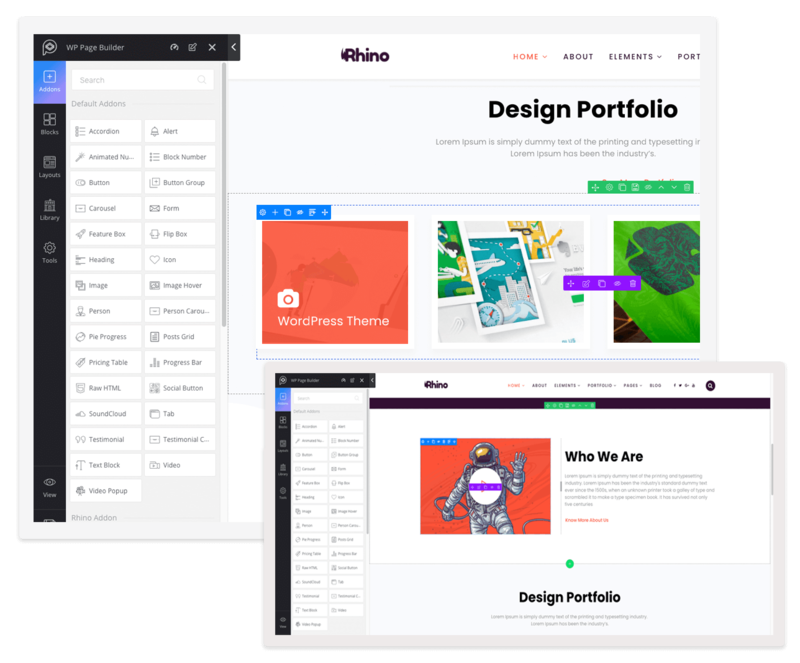 Being built with WP Page Builder, Rhino offers a wide range of benefits more than you could ever imagine. 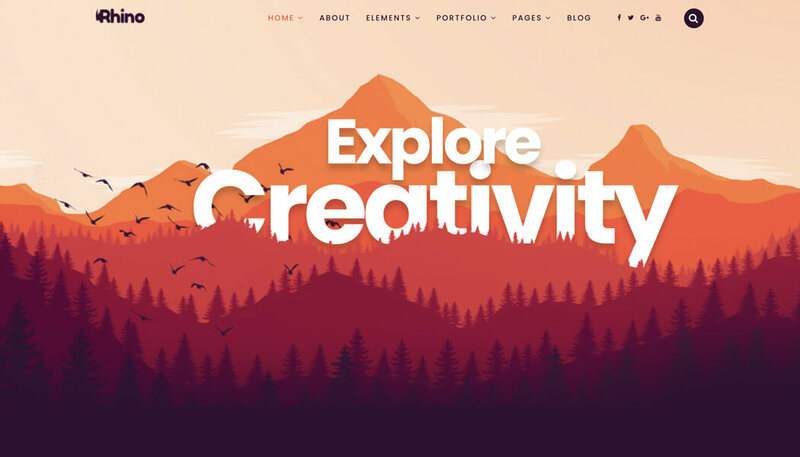 The theme comes with a whopping 6 homepage layouts and 3 portfolio variations. 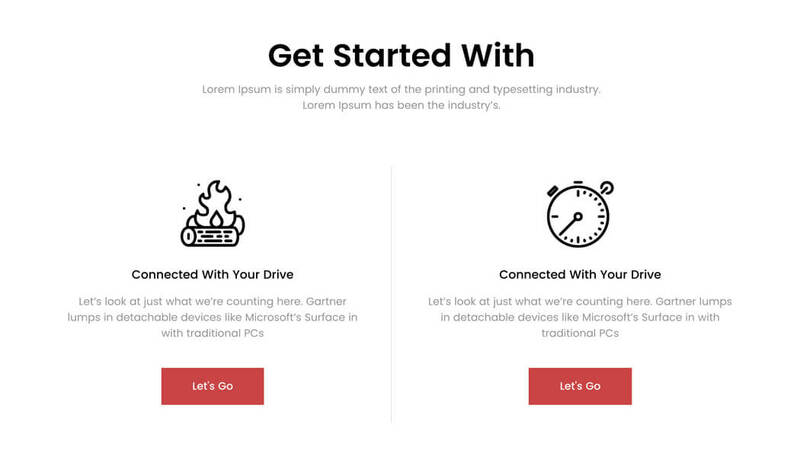 Pick any layout you want. 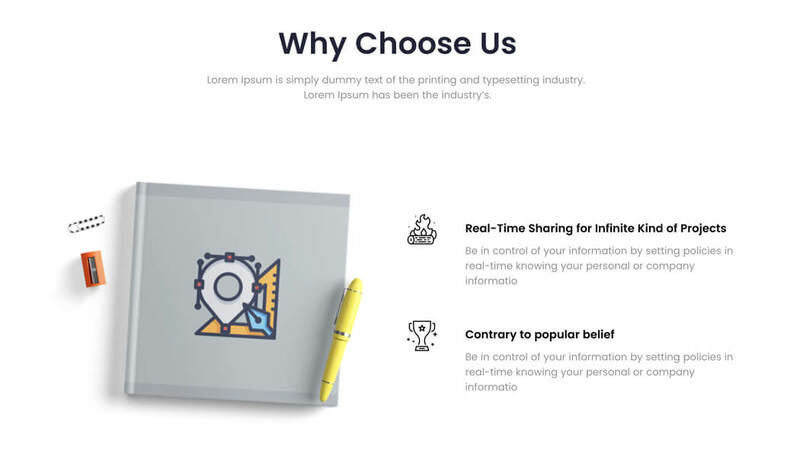 This multipurpose business WordPress theme truly focuses on what you need to present your offerings to your potential customers. 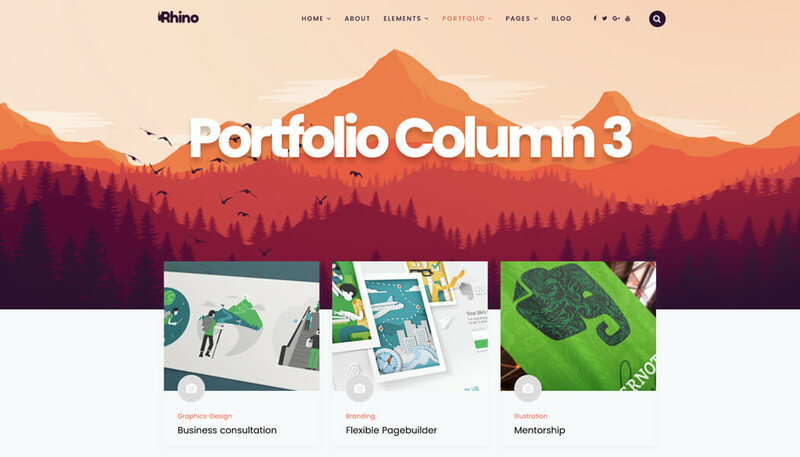 Rhino, the super-intuitive multipurpose WordPress theme comes with a custom Portfolio post type. 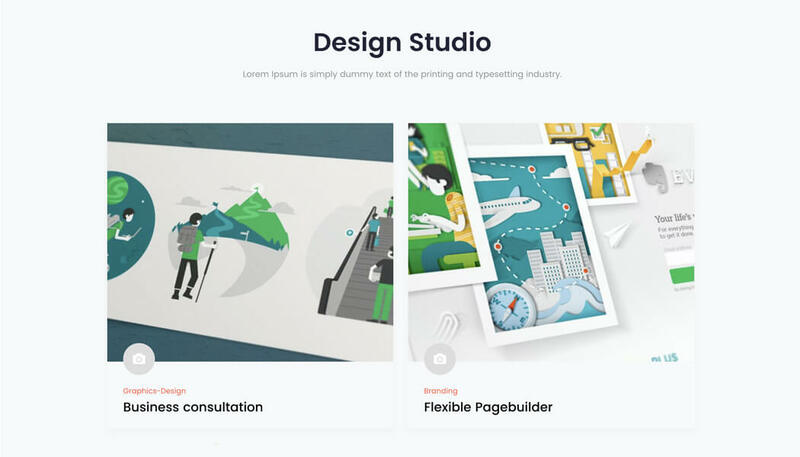 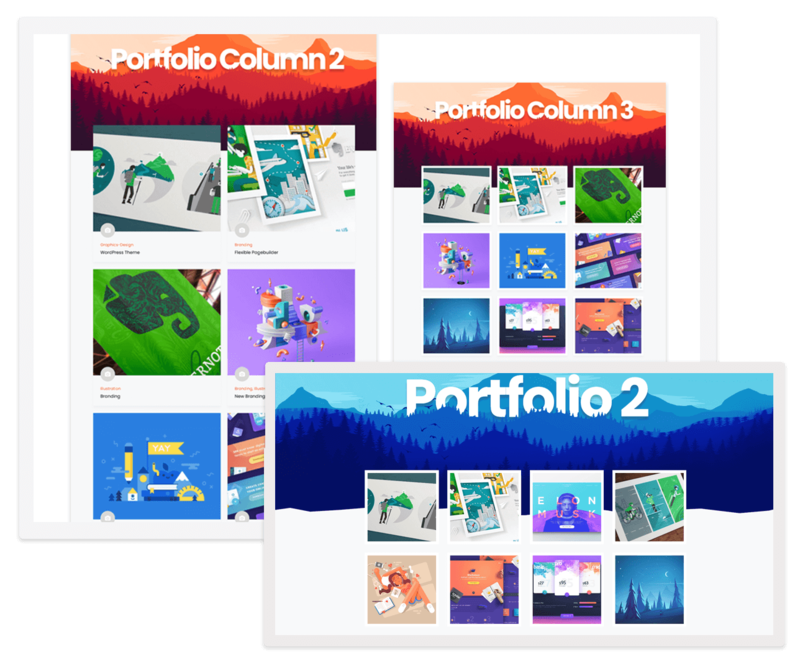 Add portfolio items with graphics and other details to showcase them in a conversion-friendly way. 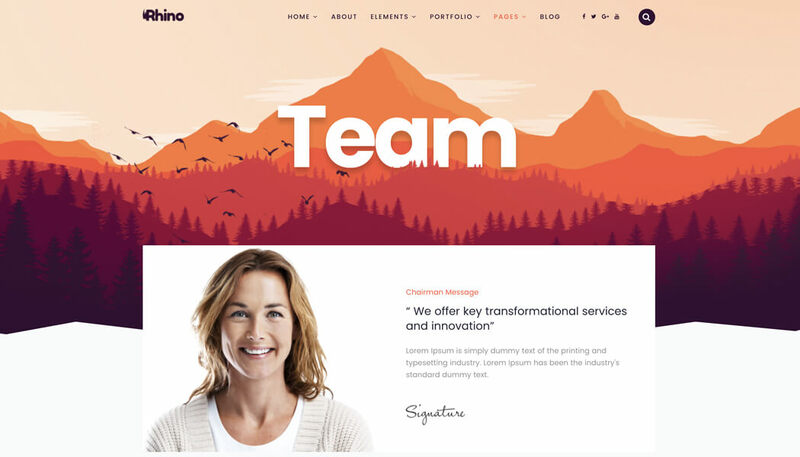 Get Rhino and thrive your business online. 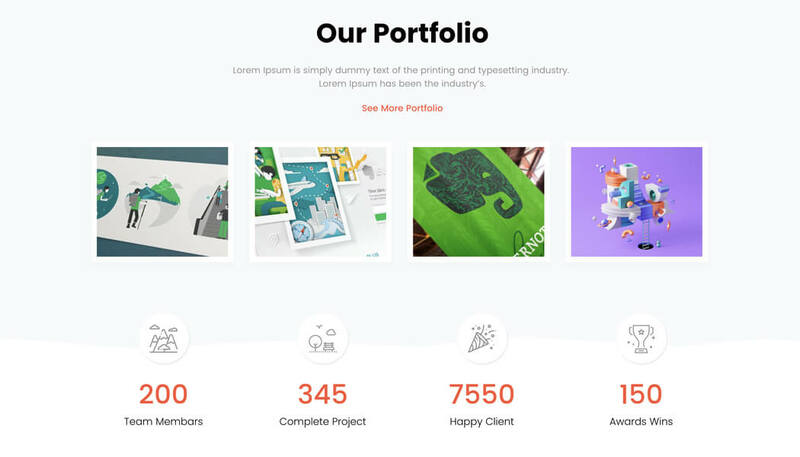 Rhino is powered by WP Page Builder, a revolutionary page composer tool on WordPress. 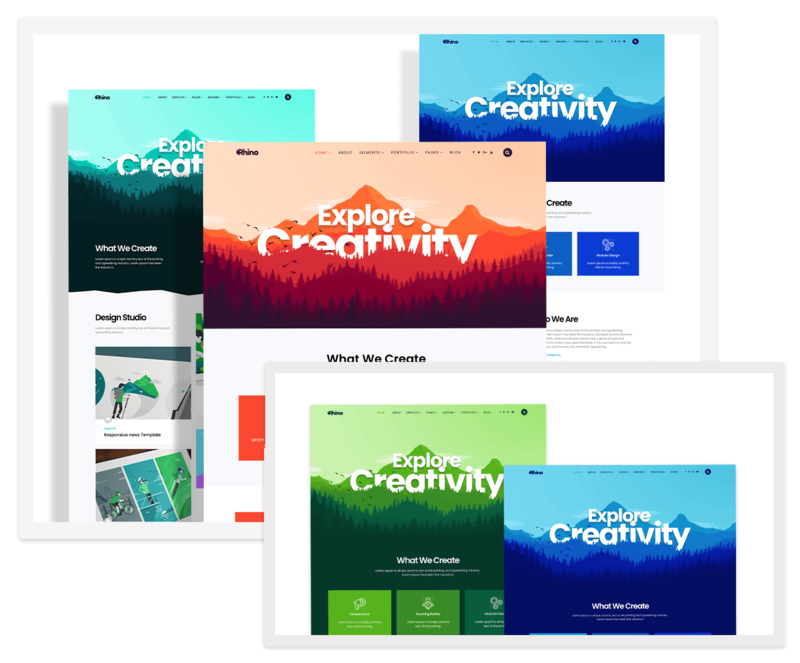 With its drag and drop frontend editor, you can modify website contents easily and see the changes as they happen. 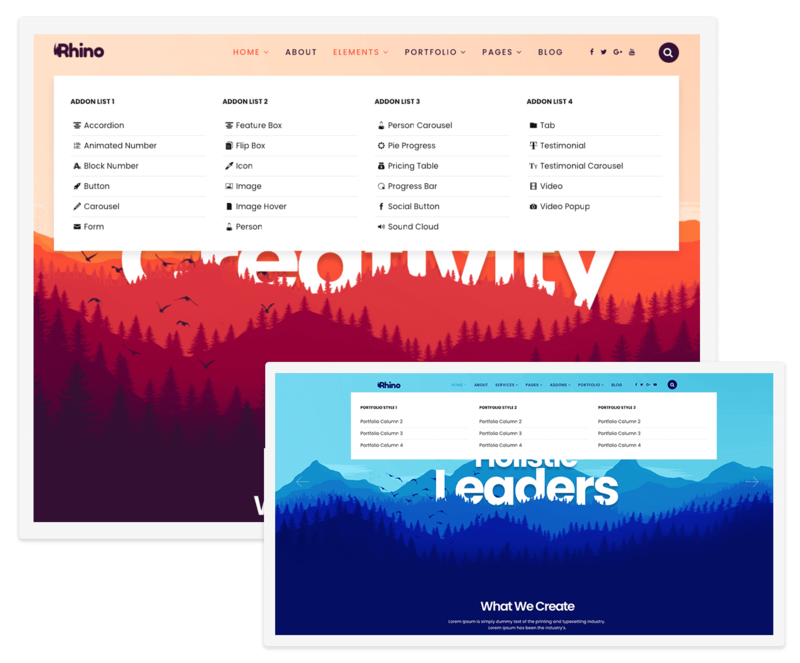 WP Mega Menu inside Rhino lets you have awesome looking mega menus with a rich set of functionalities. 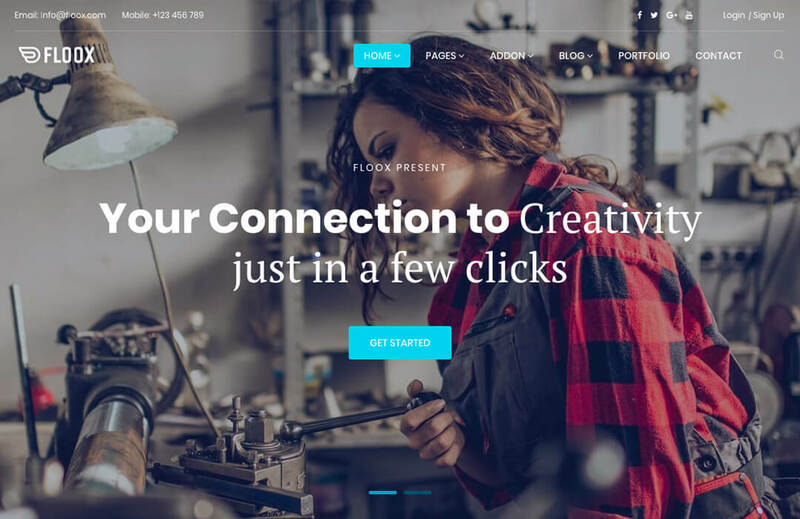 Make your website contents more accessible to the visitors to provide what they are searching for.